More than 200 million computers are sold every year around the world. You might think it’s easy to stay anonymous in this deluge of man and machine, but think again. There is no real way to stay hidden on the web anymore because your computer and browsers have fingerprints. And these fingerprints can be used to track you online. These are just two of the many kinds of “identifiers” I’m talking about. 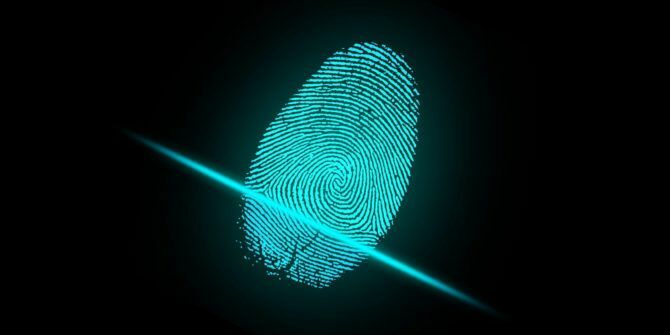 But the sum of all information collected on you can be used to create a fingerprint that’s unique to you. It’s different from the usual method of tracking someone with IP addresses and unique cookies. Shopping websites can use a browser fingerprint to find out if you’ve visited the site in the past. A less benign use can come from analytics companies that sell this data for profit. Let’s test your browser’s uniqueness with the help of two websites that demonstrate browser fingerprints in action. This new site is an open source project that gives you the unique fingerprint of your browser drawn from your GPU info, installed fonts, plugins, time zone, and more. The developers have kept the code open and hosted on GitHub. There is also a research paper which explains the technology used and how it can track users, not only within a single browser but also across different browsers on the same machine. The result is possible because the site uses many hardware-level features to consolidate the fingerprint. Panopticlick is a research project run by the Electronic Frontier Foundation. It attempts to find out how unique each browser really is. When you run the test, it gathers information from your browser and outputs the results that show how easy it is to identify you on the web. For now, you can run tools like Privacy Badger on Chrome and NoScript on Firefox to prevent tracking. They aren’t bulletproof solutions, however, and they come with a few hassles that average web users may not want to deal with. But at least you now know — and the more you know, the better off you’ll be. Did you know about browser fingerprinting? What steps do you take to ensure your privacy while browsing? Explore more about: Browser Cookies, Computer Privacy, Online Privacy. One correction to this article. Google has NOT shared how to reduce memory usage. That link now brings you to an irrelevant page about speeding up the browser. Not surprisingly, most of those tips further increase the bloat. My internet service provider uses Masquerading / NAT. So basically all members can hide behind the Proxy and NAT. That should prevent fingerprints, no? I use several methods including a couple of VPNs. I consider the assult on my privacy to be a war and will use any tool available to defeat advertisers or the government. "A VPN doesn’t make you anonymous either, but does greatly increase your privacy and security online. A VPN is similar to the curtains for the windows of your house. The curtains provide privacy for activities happening inside your house – even though your house address is public." The only way to attempt to keep your privacy nowadays is through a VPN, but with those, you literally get what you pay for. There are a few exceptions, but they are far and few. Scour the web, I'm NOT going to divulge MY secret weapon!